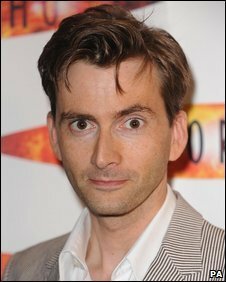 Doctor Who actor David Tennant, who made his final appearance as the Time Lord earlier this month, has backed Gordon Brown as Prime Minister. "I would still rather have Gordon Brown than David Cameron," Tennant told the latest edition of Doctor Who magazine. The Scottish actor, a long-term Labour supporter who appeared in a party political broadcast in 2005, likened the Conservative leader to "a regional newsreader who will jump on whatever bandwagon flies past". "I get quite panicked at the notion that people are buying his rhetoric, because it seems very manipulative to me." "Clearly, the Labour Party is not without some issues right now and I do get frustrated. They need to sort some stuff out, but they are still a better bet than the Tories." The Conservatives declined to comment. He is being replaced on the show by actor Matt Smith, 27, who made his debut as the 11th Doctor in Tennant's final show, ahead of a new series in the spring.